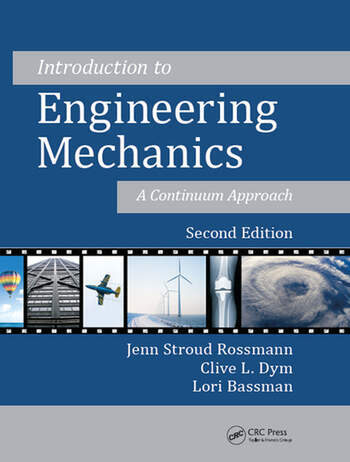 Introduction to Engineering Mechanics: A Continuum Approach, Second Edition uses continuum mechanics to showcase the connections between engineering structure and design and between solids and fluids and helps readers learn how to predict the effects of forces, stresses, and strains. The authors’ "continuum checklist" provides a framework for a wide variety of problems in solid and fluid mechanics. The essence of continuum mechanics, the internal response of materials to external loading, is often obscured by the complex mathematics of its formulation. By gradually building the formulations from one-dimensional to two- and three-dimensional, the authors help students develop a physical intuition for solid and fluid behavior and for the very interesting behavior of those materials including many biomaterials, between these extremes. This text is an accessible first introduction to the mechanics of all engineering materials, and incorporates a wide range of case studies highlighting the relevance of the technical content in societal, historical, ethical, and global contexts. It also offers a useful perspective for engineers concerned with biomedical, civil, chemical, mechanical, or other applications. The latest edition contains significantly more examples, problems, and case studies than the first edition. Introduction to Engineering Mechanics: A Continuum Approach, Second Edition provides a thorough understanding of how materials respond to loading: how solids deform and incur stress and how fluids flow. It introduces the fundamentals of solid and fluid mechanics, illustrates the mathematical connections between these fields, and emphasizes their diverse real-life applications. The authors also provide historical context for the ideas they describe and offer hints for future use. Why Pressure Vessels Are Spheres and Cylinders? Why Do Pressure Vessels Fail? How Do We Classify Fluid Flows? What Is Going on Inside Pipes? Why Can an Airplane Fly? Jenn Stroud Rossmann is an associate professor of mechanical engineering at Lafayette College. She earned her BS and PhD from the University of California, Berkeley. Her research interests include the study of blood flow in vessels affected by atherosclerosis and aneurysms. She has a strong commitment to teaching engineering methods and values to non-engineers, and she has developed several courses and workshops for liberal arts majors. Clive L. Dym served as Fletcher Jones Professor of Engineering Design for 21 years, and is now professor emeritus of engineering, at Harvey Mudd College. He earned his BS from Cooper Union and his PhD from Stanford University. His primary interests are in engineering design and structural mechanics. He is the author of 18 books and has edited 11 others, including Analytical Estimates of Structural Behavior (with Harry Williams), CRC Press, 2012. Among his awards are the Merryfield Design Award (ASEE, 2002), the Spira Outstanding Design Educator Award (ASME, 2004), and the Gordon Prize (NAE, 2012). Lori Bassman is a professor of engineering and director of the Laspa Fellowship Program in applied mechanics at Harvey Mudd College. She earned her BSE at Princeton University and her PhD at Stanford. Through a visiting appointment at the University of New South Wales in Australia, she pursues her research in physical metallurgy, and her other research interests include computational modeling of bird flight biomechanics. 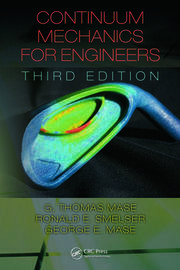 "This unique book by Rossmann, Dym, and Bassman provides an integrated foundation in solid and fluid mechanics that underpins a range of fields from bioengineering to water resources to aerospace design. Rather than being rooted in a particular engineering discipline (such as mechanical or civil), the book highlights the fundamental nature of continuum mechanics that makes it relevant to all engineers. With traditional disciplinary boundaries being crossed and new disciplines being created, this approach is just what is needed for today’s engineer." "This book would be a good textbook for engineering mechanics and biomechanics courses. 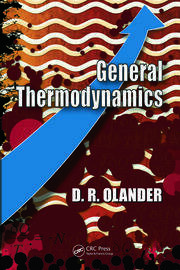 It provides a concise description of solid and fluid mechanics using a continuum perspective. The book is written by building gradually from one-dimensional to two- and three-dimensional formulations, and by including illustrative and interesting real-world case study examples. 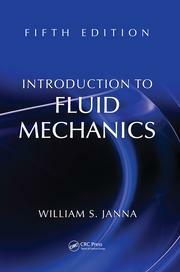 … a unified introduction to solid and fluid mechanics and the connection between them." "… a very good mix of conceptual approaches and hands on examples. It covers concisely the most important topics without getting lost in too many specialty cases and examples. Compared to other classical books that spend most of the time on beam bending, this book covers the concepts of how forces act on matter in a generally applicable way which gives students a good feeling for what is going on inside the material rather than just how to use the formulas. The book also introduces some nice and very powerful techniques such as singularity functions that are often missing in other introductory books."